Valentine’s Day is approaching quickly! 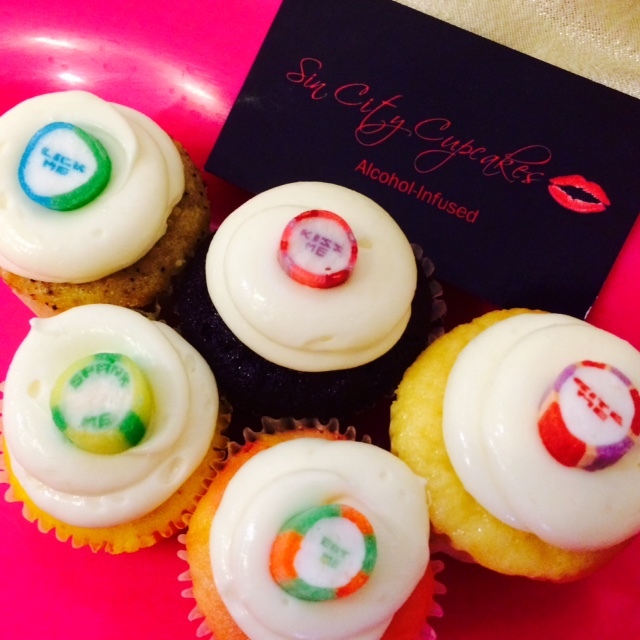 Don’t forget to surprise your sweetie with some of our delicious boozey hedonistic cupcakes for the special day! 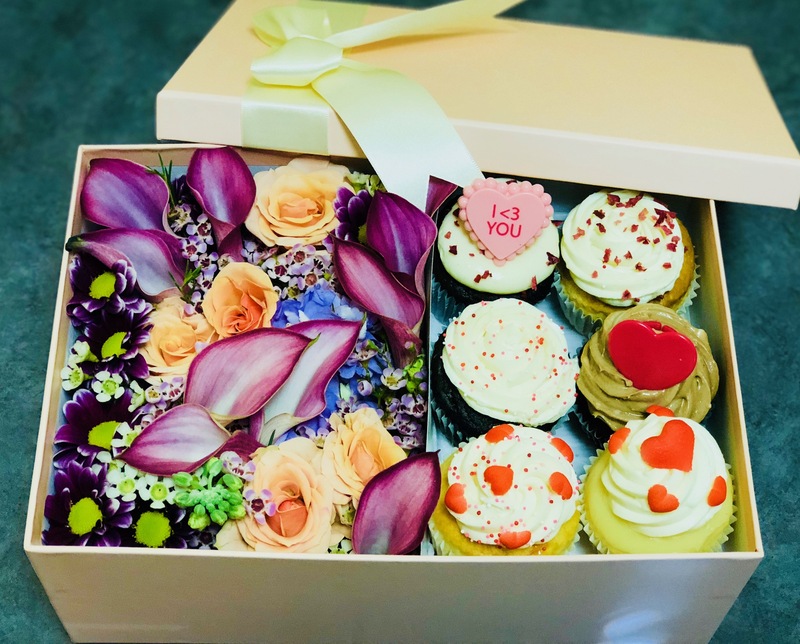 Valentine’s Day is all about the love and romance…. The roses, chocolates, and teddy bears. Why not get your valentine a memorable gift? This Valentine’s Day we are bringing back the “Aphrodisiac Collection” featuring Angels (a delicious strawberry-infused aphrodisiac beverage). This collection was a hot item last Valentine’s Day and only available until February 15th. 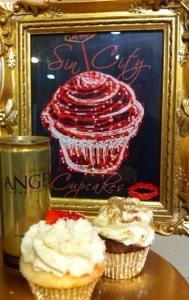 Angel Kiss is a decadent angel food cake filled with fresh chopped strawberries, Angels Aphroenergy and vodka and topped with vodka cream cheese frosting. 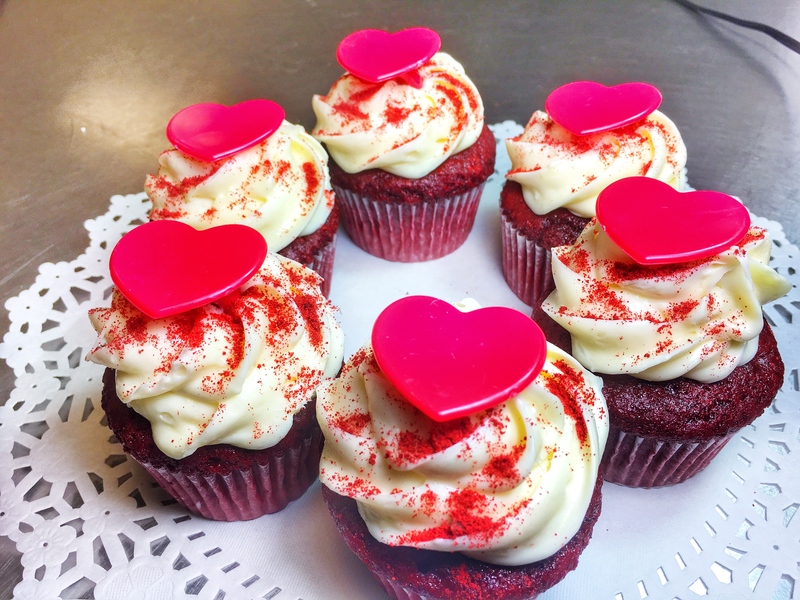 Angel Dust tempts with a rich chocolate cake filled with strawberry cheesecake, Angels Aphroenergy and vodka and topped with vodka cream cheese frosting. This exquisite offering is only available this week for purchase for $50 / dozen! Angels Aphroenergy LLC is a Las Vegas based beverage company which introduced Angels Aphroenergy, a premium aphrodisiac and energy elixir designed to increase sexual arousal and performance in 2013. Place your order today by either calling (702) 776-0955 or using our online order form. Please don’t forget that we do require 48 hours from your delivery date for all orders! This is because all cupcakes are baked fresh to-order daily to ensure the highest quality possible. *Rush orders may be approved based on availability with a rush fee. 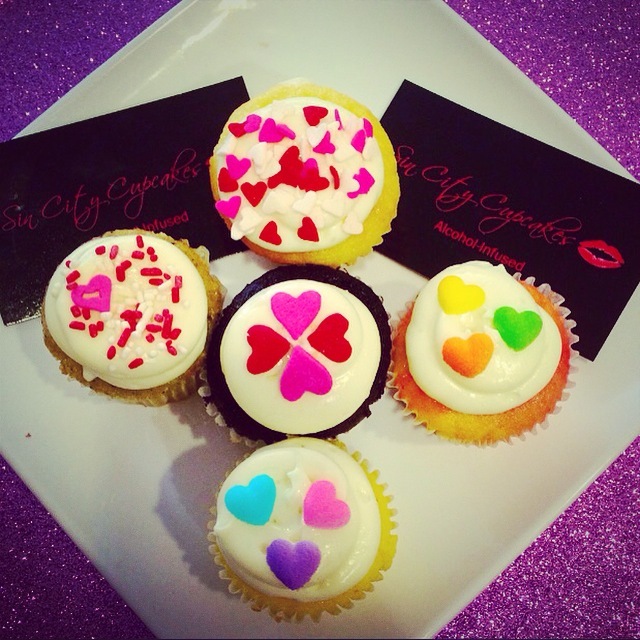 Happy Valentine’s Day & Happy Cupcaking!